Pity about Jules especially, I agree. I knew of a woman who wore this very well. Don't they? Brut especially. Please share the Woody Allen line. I don't know it. Yes, but the optimism changed quite drastically in 87....! Reminding me in our optimism and building babel towers in China. And I have a little objection: Frangrance does not equal power nowadays anymore. I feel that there, our society changed, too. 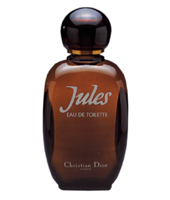 You can still get Jules you know - not exactly ubiquitous but still available in France. Thanks for the Woody Allen reference. I've never seen Stardust Memories, and I adore Charlotte Rampling.